Some people call chicken noodle soup “Jewish penicillin”. In our house, colds call for egg drop soup. Except for Jenn, she likes wonton … but I won’t hold that against her. I’ll admit, when everyone is sick all at the same time I’ll call the local Chinese place and have it delivered. But if I’ve got time to plan ahead, it takes about five minutes to make my own. With the short list of ingredients, you better believe the quality of them matters. When I said this takes planning ahead it’s because I make it with home-made broth, which is easy to make, but not quick. 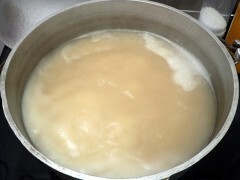 Put the broth in a large pot over high heat. 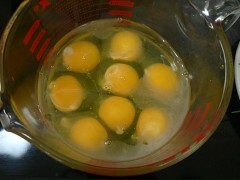 While it’s coming to a boil, crack all the eggs and mix them up just a little. You don’t need to beat them, just break up the yolks a bit. … turn off the heat and stir gently with a chopstick. 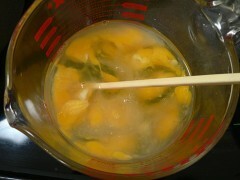 While stirring, pour the eggs in slowly. NOTE: DO NOT use a whisk to stir this. You’ll end up with shreds of eggs instead of strips and chunks. The eggs will be cooked as soon as you pour them in. Season with salt and pepper. If you’re using home-made broth like mine, you’ll need a surprising amount of salt. Don’t be afraid to add it by the teaspoon, taste, and add more if needed. 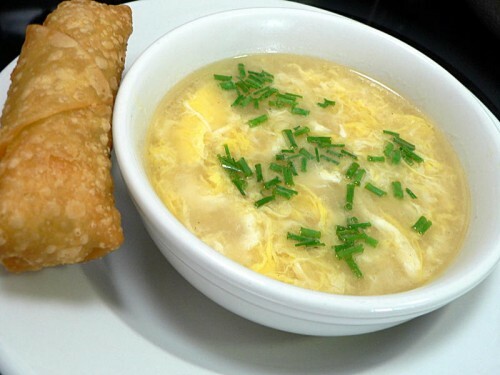 Chicken noodle soup gets all the glory, but for my money egg drop soup is where it's at. Bring the broth to a rolling boil. While it's heating, crack all the eggs into a bowl and break the yolks but don't beat them. Remove the broth from heat, and while stirring gently with a chopstick, pour the eggs in slowly. Season with salt and pepper - be generous with the salt if you're using unsalted or home-made broth. 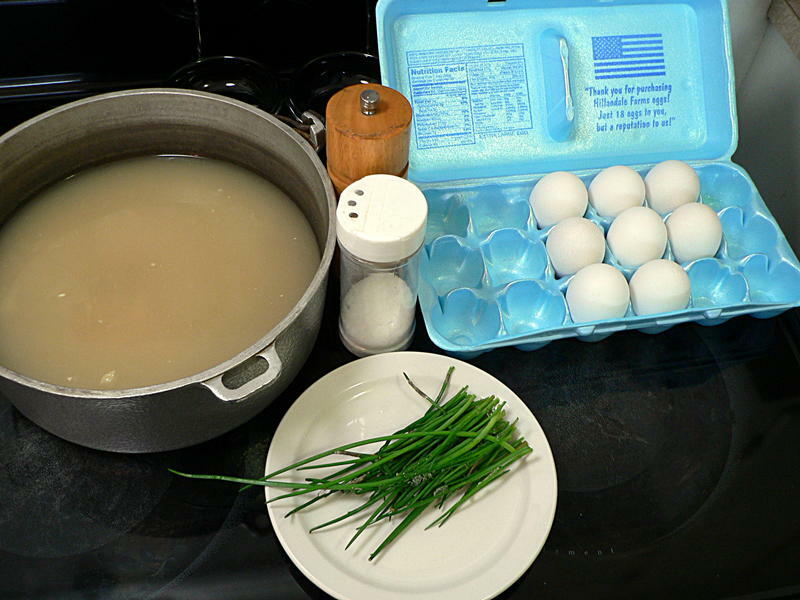 Serve topped with chopped chives or green onions.